Hopefully you have all of my books by now – or at least the ones covering the subjects you are interested in. But there are other books and publications I recommend. Let me start with a new suggestion I have. 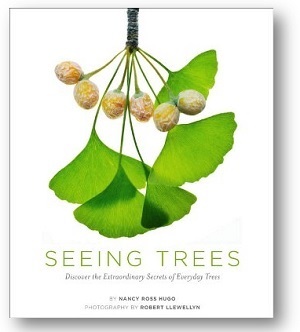 It’s a terrific book called Seeing Trees by Nancy Ross Hugo and is for serious tree lovers like me. The following is a list of some of the most important reference books in my library. There is an expanded list in the Library of DirtDoctor.com that will be helpful to you as well. The Organic Method Primer by Rateavers. Bargyla and Gylver Rateaver produced an updated Version of Bargyla’s original book. This primer was first written in 1973 for the world’s original course in the organic method. This is the book that explains the process of endocytosis (plants absorbing “chunks” of materials – not just basic elements) and much more of the basics of the organic approach. "The Stockman Grass Farmer" a monthly publication from the Mississippi Valley Publishing Corp.